Fab Fete Event Planning Boutique Blog: Jen & Shana's Garden-Inspired Wedding. Jen & Shana's Garden-Inspired Wedding. We are so excited and honoured to have Jen and Shana’s gorgeous wedding featured on the Elegant Wedding Blog! 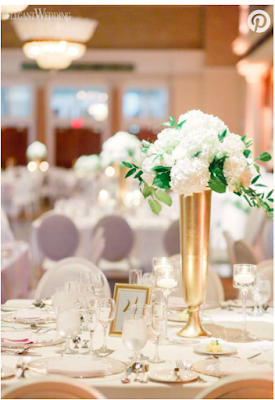 You will absolutely fall in love with every aspect of this wedding! Infused with opulent gold, classic white and luscious greenery, Jen and Shana's wedding was a genuine display of elegance and glamour. After a beautiful six year journey together, this beautiful couple are now ready to start their happily ever after. It was an absolute pleasure working with Jen and Shana and we could not have done it without the help and hard work of all of the outstanding vendors involved! Click on the link below for more details and photos of Jen & Shana’s stunning wedding!